Start your preparation off right with Wynn’s Batter Dip & Wynn’s Marinade. Easy to use and full of flavor, these fine products make an impression. 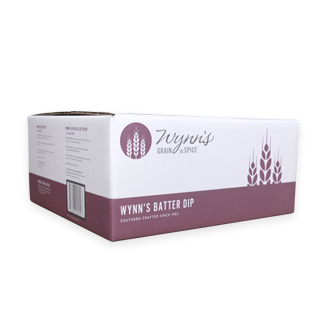 An easy to use mixture, Wynn’s Batter Dip creates a perfect coating with a hint of seasoning. Developed to complement Wynn’s line of breadings, our Batter Dip recipe maximizes chicken’s flavor profile and creates a wonderful crunch. Best when used in a double-breaded process, Wynn’s Batter Dip is an original recipe that remains a customer favorite. Wynn’s Grain & Spice Marinade is a time-tested winner for every kitchen. Customers who use our blend to specifications are guaranteed to have the most tender chicken in town. Formulated to complement all of our breadings; prepare your chicken with Wynn’s Marinade and the difference will be clear. 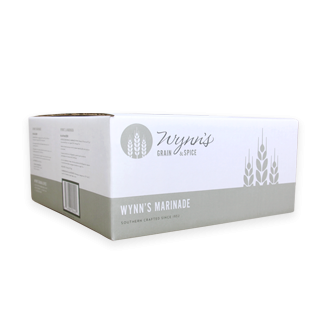 Quality and taste start with Wynn’s Marinade.